and other Ordinaries, in Peace and Union with Holy See. 1. 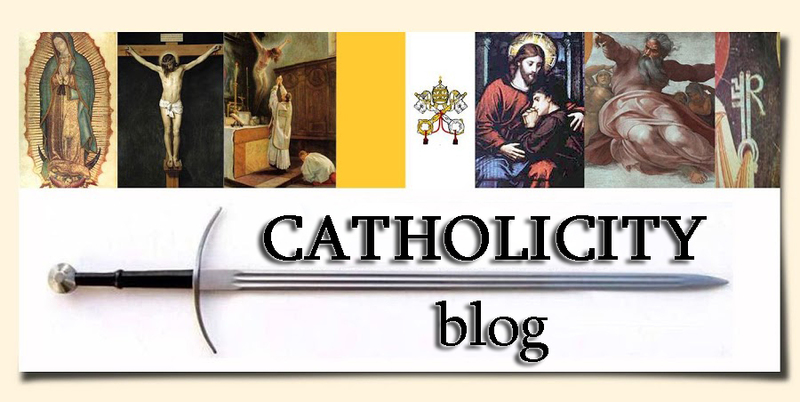 Although We have already many times ordered special prayers to be offered up in the whole world, that the interests of Catholicism might be insistently recommended to God, none will deem it matter for surprise that We consider the present moment an opportune one for again inculcating the same duty. 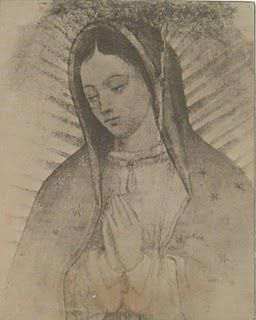 During periods of stress and trial - chiefly when every lawlessness of act seems permitted to the powers of darkness - it has been the custom in the Church to plead with special fervour and perseverance to God, her author and protector, by recourse to the intercession of the saints - and chiefly of the Blessed Virgin, Mother of God - whose patronage has ever been the most efficacious. The fruit of these pious prayers and of the confidence reposed in the Divine goodness, has always, sooner or later, been made apparent. Now, Venerable Brethren, you know the times in which we live; they are scarcely less deplorable for the Christian religion than the worst days, which in time past were most full of misery to the Church. We see faith, the root of all the Christian virtues, lessening in many souls; we see charity growing cold; the young generation daily growing in depravity of morals and views; the Church of Jesus Christ attacked on every side by open force or by craft; a relentless war waged against the Sovereign Pontiff; and the very foundations of religion undermined with a boldness which waxes daily in intensity. These things are, indeed, so much a matter of notoriety that it is needless for Us to expatiate on the depths to which society has sunk in these days, or on the designs which now agitate the minds of men. In circumstances so unhappy and troublous, human remedies are insufficient, and it becomes necessary, as a sole resource, to beg for assistance from the Divine power. 2. 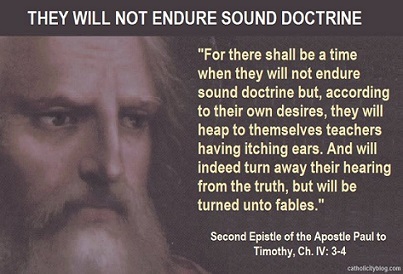 This is the reason why We have considered it necessary to turn to the Christian people and urge them to implore, with increased zeal and constancy, the aid of Almighty God. At this proximity of the month of October, which We have already consecrated to the Virgin Mary, under the title of Our Lady of the Rosary, We earnestly exhort the faithful to perform the exercises of this month with, if possible, even more piety and constancy than heretofore. We know that there is sure help in the maternal goodness of the Virgin, and We are very certain that We shall never vainly place Our trust in her. If, on innumerable occasions, she has displayed her power in aid of the Christian world, why should We doubt that she will now renew the assistance of her power and favour, if humble and constant prayers are offered up on all sides to her? Nay, We rather believe that her intervention will be the more marvellous as she has permitted Us to pray to her, for so long a time, with special appeals. But We entertain another object, which, according to your wont, Venerable Brethren, you will advance with fervour. That God may be more favourable to Our prayers, and that He may come with bounty and promptitude to the aid of His Church, We judge it of deep utility for the Christian people, continually to invoke with great piety and trust, together with the Virgin-Mother of God, her chaste Spouse, the Blessed Joseph; and We regard it as most certain that this will be most pleasing to the Virgin herself. On the subject of this devotion, of which We speak publicly for the first time to-day, We know without doubt that not only is the people inclined to it, but that it is already established, and is advancing to full growth. We have seen the devotion to St. Joseph, which in past times the Roman Pontiffs have developed and gradually increased, grow into greater proportions in Our time, particularly after Pius IX., of happy memory, Our predecessor, proclaimed, yielding to the request of a large number of bishops, this holy patriarch the patron of the Catholic Church. And as, moreover, it is of high importance that the devotion to St. Joseph should engraft itself upon the daily pious practices of Catholics, We desire that the Christian people should be urged to it above all by Our words and authority. 3. The special motives for which St. Joseph has been proclaimed Patron of the Church, and from which the Church looks for singular benefit from his patronage and protection, are that Joseph was the spouse of Mary and that he was reputed the Father of Jesus Christ. From these sources have sprung his dignity, his holiness, his glory. In truth, the dignity of the Mother of God is so lofty that naught created can rank above it. 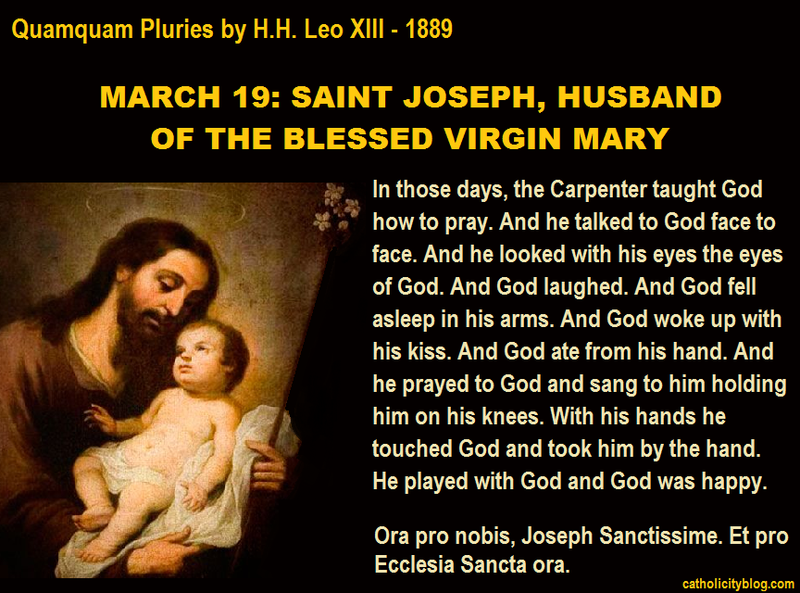 But as Joseph has been united to the Blessed Virgin by the ties of marriage, it may not be doubted that he approached nearer than any to the eminent dignity by which the Mother of God surpasses so nobly all created natures. For marriage is the most intimate of all unions which from its essence imparts a community of gifts between those that by it are joined together. Thus in giving Joseph the Blessed Virgin as spouse, God appointed him to be not only her life's companion, the witness of her maidenhood, the protector of her honour, but also, by virtue of the conjugal tie, a participator in her sublime dignity. And Joseph shines among all mankind by the most august dignity, since by divine will, he was the guardian of the Son of God and reputed as His father among men. Hence it came about that the Word of God was humbly subject to Joseph, that He obeyed him, and that He rendered to him all those offices that children are bound to render to their parents. From this two-fold dignity flowed the obligation which nature lays upon the head of families, so that Joseph became the guardian, the administrator, and the legal defender of the divine house whose chief he was. And during the whole course of his life he fulfilled those charges and those duties. He set himself to protect with a mighty love and a daily solicitude his spouse and the Divine Infant; regularly by his work he earned what was necessary for the one and the other for nourishment and clothing; he guarded from death the Child threatened by a monarch's jealousy, and found for Him a refuge; in the miseries of the journey and in the bitternesses of exile he was ever the companion, the assistance, and the upholder of the Virgin and of Jesus. Now the divine house which Joseph ruled with the authority of a father, contained within its limits the scarce-born Church. From the same fact that the most holy Virgin is the mother of Jesus Christ is she the mother of all Christians whom she bore on Mount Calvary amid the supreme throes of the Redemption; Jesus Christ is, in a manner, the first-born of Christians, who by the adoption and Redemption are his brothers. And for such reasons the Blessed Patriarch looks upon the multitude of Christians who make up the Church as confided specially to his trust - this limitless family spread over the earth, over which, because he is the spouse of Mary and the Father of Jesus Christ he holds, as it were, a paternal authority. It is, then, natural and worthy that as the Blessed Joseph ministered to all the needs of the family at Nazareth and girt it about with his protection, he should now cover with the cloak of his heavenly patronage and defend the Church of Jesus Christ. 4. You well understand, Venerable Brethren, that these considerations are confirmed by the ,opinion held by a large number of the Fathers, to which the sacred liturgy gives its sanction, that the Joseph of ancient times, son of the patriarch Jacob, was the type of St. Joseph, and the former by his glory prefigured the greatness of the future guardian of the Holy Family. And in truth, beyond the fact that the same name - a point the significance of which has never been denied - was given to each, you well know the points of likeness that exist between them; namely, that the first Joseph won the favour and especial goodwill of his master, and that through Joseph's administration his household came to prosperity and wealth; that (still more important) he presided over the kingdom with great power, and, in a time when the harvests failed, he provided for all the needs of the Egyptians with so much wisdom that the King decreed to him the title "Saviour of the world." 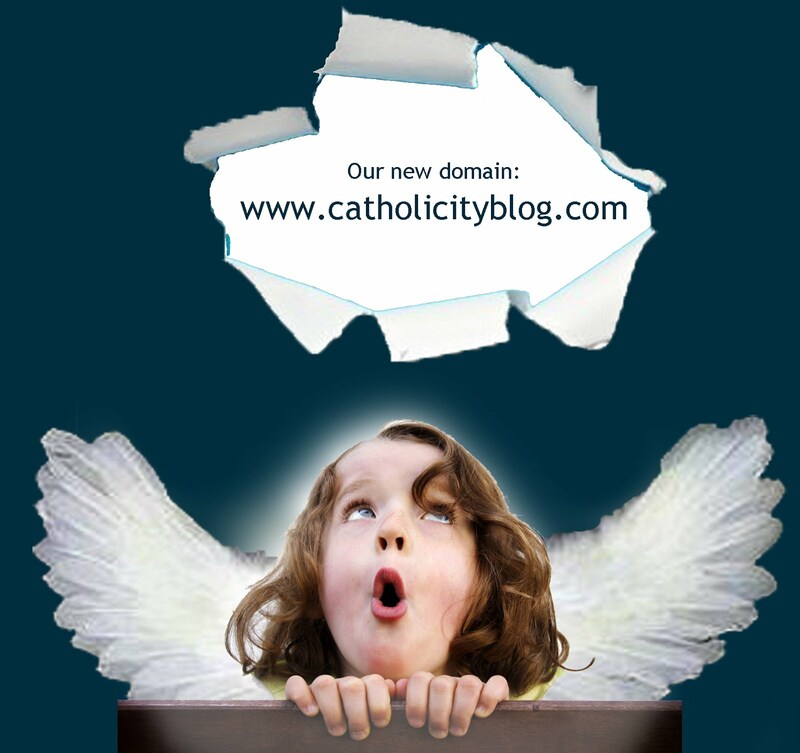 Thus it is that We may prefigure the new in the old patriarch. And as the first caused the prosperity of his master's domestic interests and at the same time rendered great services to the whole kingdom, so the second, destined to be the guardian of the Christian religion, should be regarded as the protector and defender of the Church, which is truly the house of the Lord and the kingdom of God on earth. These are the reasons why men of every rank and country should fly to the trust and guard of the blessed Joseph. Fathers of families find in Joseph the best personification of paternal solicitude and vigilance; spouses a perfect example of love, of peace, and of conjugal fidelity; virgins at the same time find in him the model and protector of virginal integrity. The noble of birth will earn of Joseph how to guard their dignity even in misfortune; the rich will understand, by his lessons, what are the goods most to be desired and won at the price of their labour. As to workmen, artisans, and persons of lesser degree, their recourse to Joseph is a special right, and his example is for their particular imitation. For Joseph, of royal blood, united by marriage to the greatest and holiest of women, reputed the father of the Son of God, passed his life in labour, and won by the toil of the artisan the needful support of his family. It is, then, true that the condition of the lowly has nothing shameful in it, and the work of the labourer is not only not dishonouring, but can, if virtue be joined to it, be singularly ennobled. Joseph, content with his slight possessions, bore the trials consequent on a fortune so slender, with greatness of soul, in imitation of his Son, who having put on the form of a slave, being the Lord of life, subjected himself of his own free-will to the spoliation and loss of everything. 5. Through these considerations, the poor and those who live by the labour of their hands should be of good heart and learn to be just. If they win the right of emerging from poverty and obtaining a better rank by lawful means, reason and justice uphold them in changing the order established, in the first instance, for them by the Providence of God. But recourse to force and struggles by seditious paths to obtain such ends are madnesses which only aggravate the evil which they aim to suppress. Let the poor, then, if they would be wise, trust not to the promises of seditious men, but rather to the example and patronage of the Blessed Joseph, and to the maternal charity of the Church, which each day takes an increasing compassion on their lot. 6. This is the reason why - trusting much to your zeal and episcopal authority, Venerable Brethren, and not doubting that the good and pious faithful will run beyond the mere letter of the law - We prescribe that during the whole month of October, at the recitation of the Rosary, for which We have already legislated, a prayer to St. Joseph be added, the formula of which will be sent with this letter, and that this custom should be repeated every year. To those who recite this prayer, We grant for each time an indulgence of seven years and seven Lents. It is a salutary practice and very praiseworthy, already established in some countries, to consecrate the month of March to the honour of the holy Patriarch by daily exercises of piety. Where this custom cannot be easily established, it is as least desirable, that before the feast-day, in the principal church of each parish, a triduo of prayer be celebrated. In those lands where the 19th of March - the Feast of St. Joseph - is not a Festival of Obligation, We exhort the faithful to sanctify it as far as possible by private pious practices, in honour of their heavenly patron, as though it were a day of Obligation. 7. And in token of heavenly favours, and in witness of Our good-will, We grant most lovingly in the Lord, to you, Venerable Brethren, to your clergy and to your people, the Apostolic blessing. Given in the Vatican, August 15th, 1889, the 11th year of Our Pontificate. To thee, O blessed Joseph, we have recourse in our affliction, and having implored the help of thy thrice holy Spouse, we now, with hearts filled with confidence, earnestly beg thee also to take us under thy protection. By that charity wherewith thou wert united to the Immaculate Virgin Mother of God, and by that fatherly love with which thou didst cherish the Child Jesus, we beseech thee and we humbly pray that thou wilt look down with gracious eye upon that inheritance which Jesus Christ purchased by His blood, and wilt succor us in our need by thy power and strength. Defend, O most watchful guardian of the Holy Family, the chosen off-spring of Jesus Christ. Keep from us, O most loving Father, all blight of error and corruption. Aid us from on high, most valiant defender, in this conflict with the powers of darkness. And even as of old thou didst rescue the Child Jesus from the peril of His life, so now defend God's Holy Church from the snares of the enemy and from all adversity. Shield us ever under thy patronage, that, following thine example and strengthened by thy help, we may live a holy life, die a happy death, and attain to everlasting bliss in Heaven. Amen. Is It Clear or Should I Explain it To You?